Hiring a Video Agency can often be a very intimidating experience but if you do not have any experience in marketing or the video industry, one of your first challenges might be not knowing what points need to be touched in your video and writing the script. Here we offer you (6) tips for hiring a video agency! You might also find difficulty figuring out what services you need from a Video Production Agency. Do I need 1 or 2 cameras? Do I need narration or testimonials? How much is too much investment or too little? Which are the available channels of distribution? 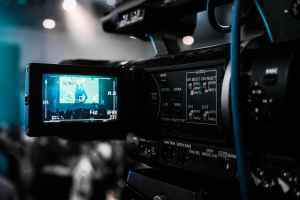 In this post, I will try to explain what in our opinion are good points to know before and during the hiring process of a Video Production Company. Are you ready? 1- What do I want to achieve with this video? This first thing you need to do is know what you want to achieve with your video. Do I want to sell a particular product? Do I want to sell more than many products? Do I want to boost the client’s confidence in my products? Do I need to get more brand recognition? What is the target market? Do I need this video to take people directly to my web-page, or just drive traffic to my office or physical store?. Define what you want to achieve, that will help you a great deal in knowing what type of video agency you need to hire. Watch videos, commercials, testimonials and any other type of videos from competitors in your industry. Study in detail every one of those videos. Their message and style will inform you of what is working and not working for them. How many views do they have? What messages are they putting out there? Are they using testimonials? Are they using narrative techniques? Write down your own ideas and objectives. In the end, you are the real expert in your industry! You do not have to use a specific format to write your pitch or concept. For this document, you can use pictures, reference videos, articles from publications, testimonials from clients and even personal stories. Remember, this is not the final script, but a rough guide to present to the video agency. All gathered info, and your vision will inform the writing of your final script. 3- Online presence and testimonials. Do some research online about what local video production, visit their web-pages, watch their demo reels and videos they have produced for other clients. Do not worry if they have not produced videos for your particular industry, they might have done a great job producing videos for other industries. Check Google testimonials from previous clients, and if they have any knowledge of storytelling and video marketing. Some companies are great producing real state videos or drone videos, but not necessarily know how to produce a video that engages your target audience and achieve the objectives you set out to reach. 4- Crew, Talent, Equipment, and Assets. I believe this point to be one of the most important in the list of things you need to check before hiring a Video Agency. I will start with the crew. The right video production agency must have a team of talented people ready to take over any project regardless of size and budget. This team is divided into the Creative Department, Producers, Directors, Editors, and Technical staff. Every one of them will put their hands into your video project. The writer (that could also be the Director) will put together all your ideas and objectives into a concept and a final script. The director will lead the crew and control all the creative aspects of the video. The producer will take care of scheduling the shoot, hiring the talent, securing insurance and permits (if needed), etc. The talent (narrator, actors or models) will perform all the parts written in the script. The editor will assemble the video according to the final script and with the supervision of the Director and sometimes the Producer. It is a good thing when the company works with the same crew in almost every video project. The AC (Assistant Camera) knows the preferences and particular style of the Camera Operator and the Director of Photography. All of them know the Director from previous shoots, what he likes, dislikes and his personal style. So much can be said about this subject that it is impossible to cover it all in this post! I found the Video Agency that is going to write, shoot, edit and possibly distribute my video! But, are they really able to deliver it on time and budget? 6- Knowledge of Storytelling is Key. In the end, you need a video that connects with your audience. The technical aspect is nothing if you do not have a script that tells a good story. Cameras and lights are just tools in the hands of storytellers. Your quest is to hire the best storytellers, in order to get the best return on your investment. I hope that these (6) tips for hiring a video agency have helped you in your search for a Video Production Agency. We at Bluemoon Filmworks have creative countless videos for heavy lifters in a lot of different industries. Our creative team and crew come from the film and tv industry. We have created concepts and script for commercials, films, and documentaries for many different subjects and industries. For a free consultation and to have more questions answered about or services. Please contact us! (6) Tips for hiring a Video Production Agency. Article by Cesar Perez. Choose a date for a free consultation.